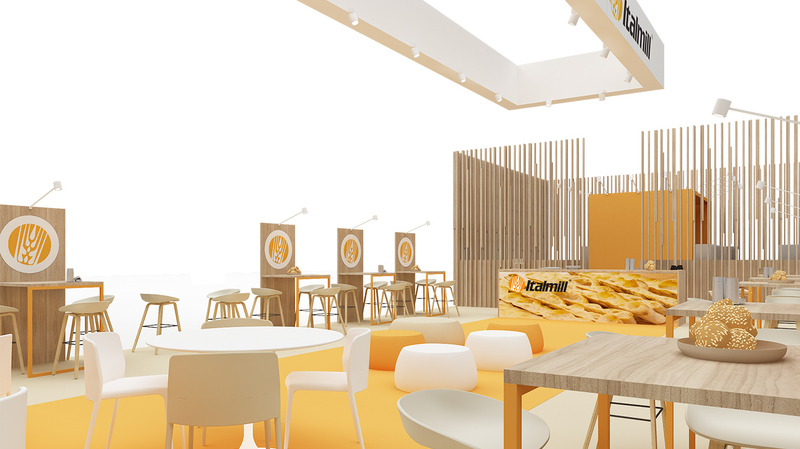 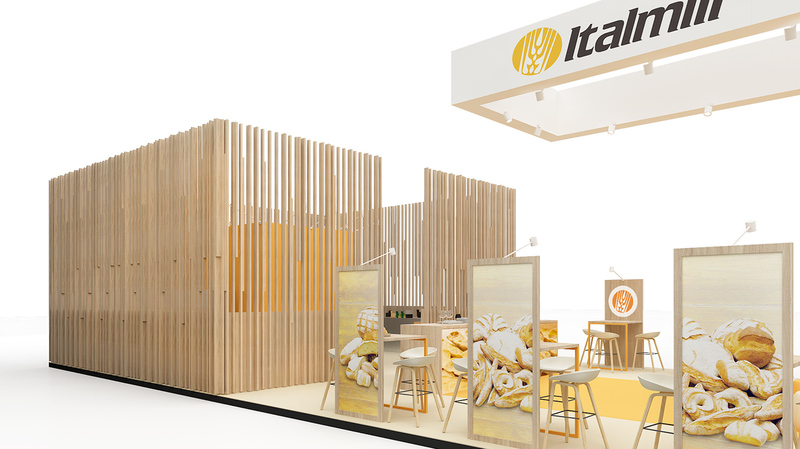 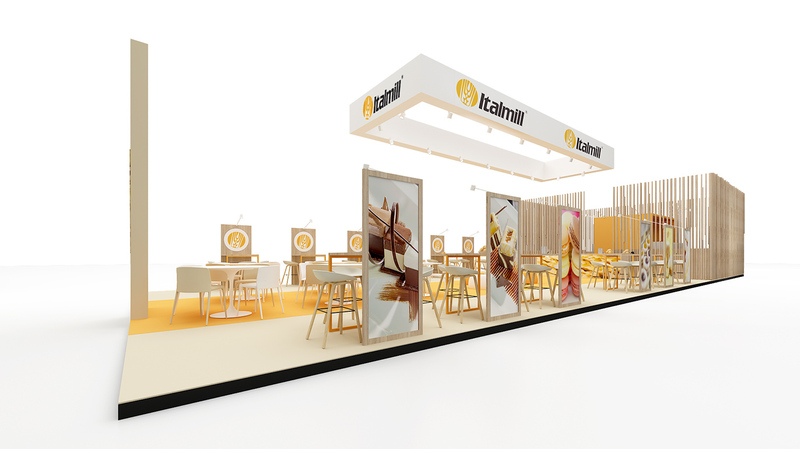 Proposal for Italmill stand at Sigep, fair in the field of Pastry, Bakery and Coffee, means to communicate the most authentic sense of Italmill production, mainly based on cultivation of wheat and its subsequent processing. 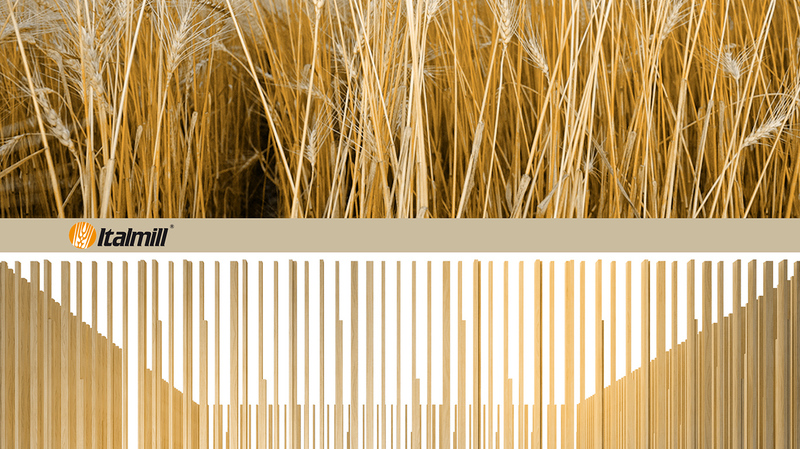 Wheat is intended as the origin and identity of the company, symbolized not only in the logotype, but used as inspiration for the elements that bound the kitchen, with a thin wall made of laths that evoke the impression of a wheat field. 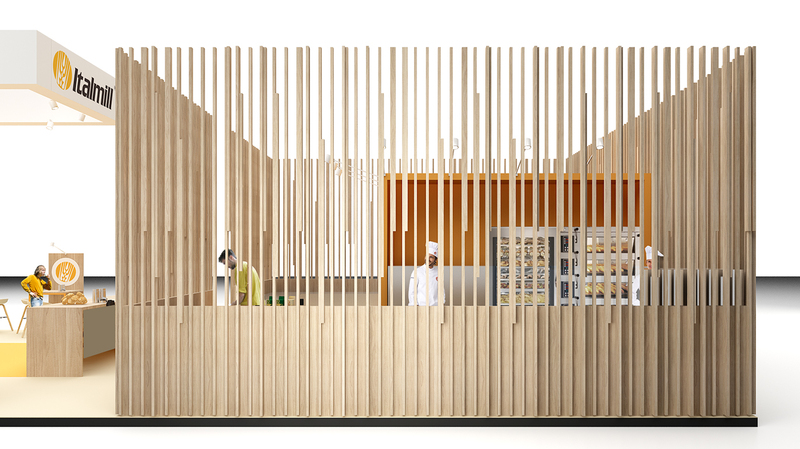 This light installation allows the visitors to see through the kitchen, where are carried out baking and cooking activities, to arouse the attention towards the preparation of the products. 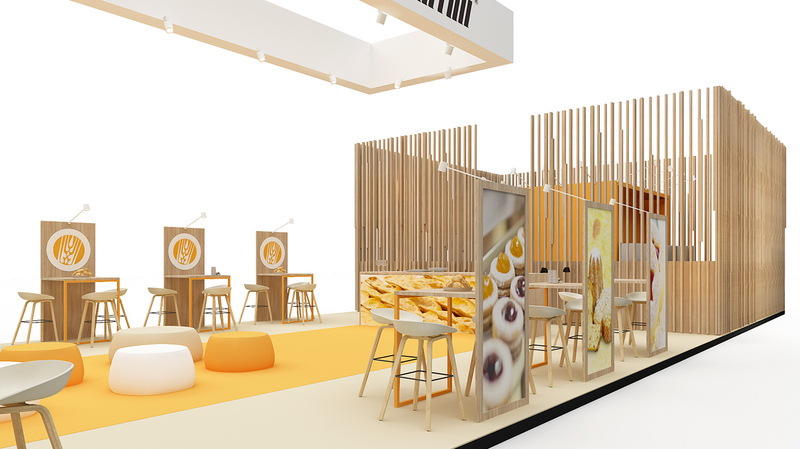 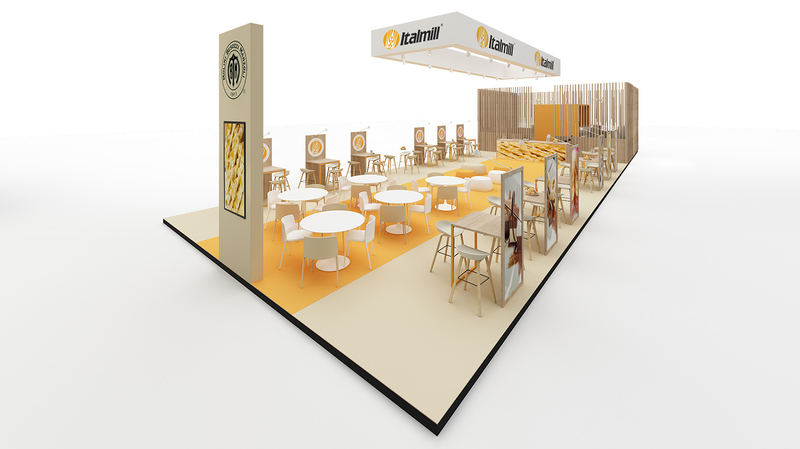 Area for tasting is an open surface arranged with high tables, tables for meeting and a lounge zone, to facilitate interactions and socialization during the fair.